Your shoulders are a testament to the amount of strength you can muster. Strong, balanced shoulders are universally recognized as a sign of fitness. But beefy arms can sometimes get in the way of maintaining that, and sometimes even mess up your posture if you are not careful. 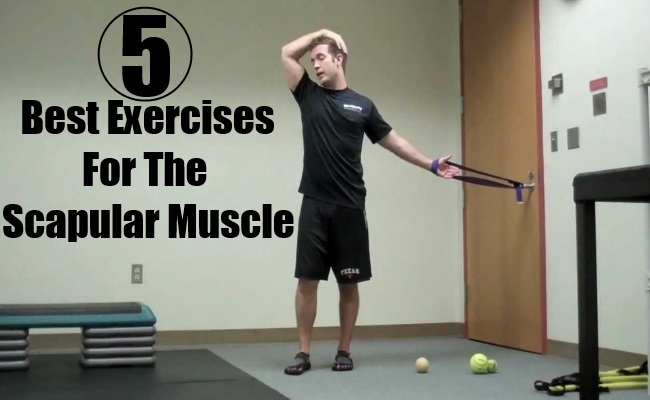 The scapula is one of the major components of your shoulder muscle, and following are some of the best exercises to maintain strength and control in that area. You can do this standing up or sitting down with your spine held straight. Tuck in your chin a bit and tilt your shoulder backwards. Squeeze the shoulder blades together as much as you can, and see how far of a stretch you can manage without experiencing pain. Hold this for 5 seconds and release. Perform 10 reps. 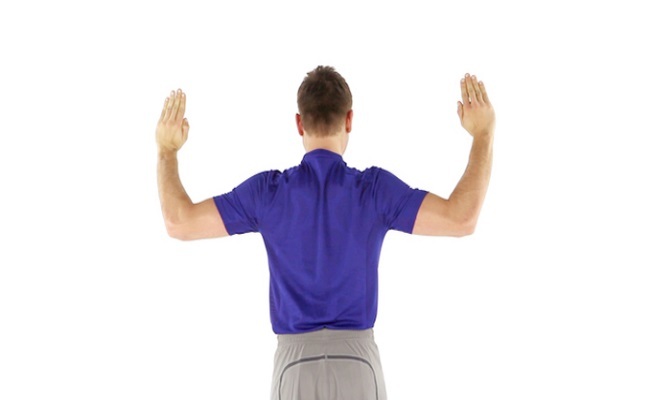 This exercise requires a beginning standing posture with the back and neck held straight, and the arms stretch out with palms touching the wall. Squeeze the shoulder blades together fully, while leaning into the wall and keeping the elbows straight. Hold this position for 2 seconds and then come back to the starting position. Do this 10 times. Start this exercise with the back and neck held straight. The arms should be at the side, and kept slightly away from the body with the palm facing forwards. Raise up the shoulder blade towards the ear, as far as you don’t feel pain. Hold this for 5 seconds and return to starting position. Repeat 10 times on either side. 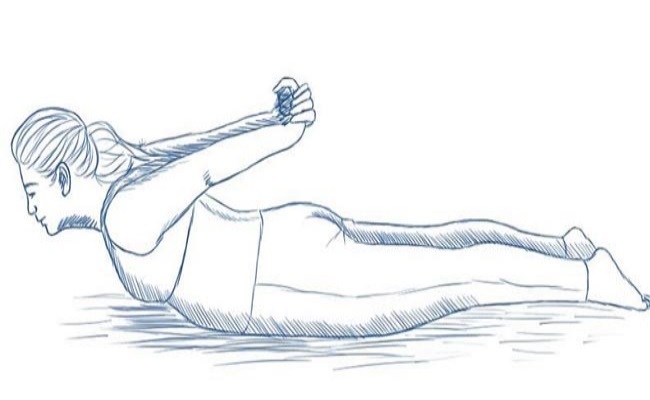 This exercise should begin with the person lying on their stomach with the arms by the sides. Squeeze the shoulder blades slowly, and lift the arms and chest off the ground. Keep the neck straight through the exercise. Hold the position for 2 seconds and then slowly get back to starting position. Do 10-20 reps on this, provided no pain is felt. Can also be done with the palms facing up or down, instead of inwards. This is a strengthening as well as stabilizing exercise, which works by holding the shoulder Blade tight to the rib cage so there is no scapular winging. Start in a stand up position. Keeping the elbows locked, pull in the shoulder blades so that the torso sinks a few inches. 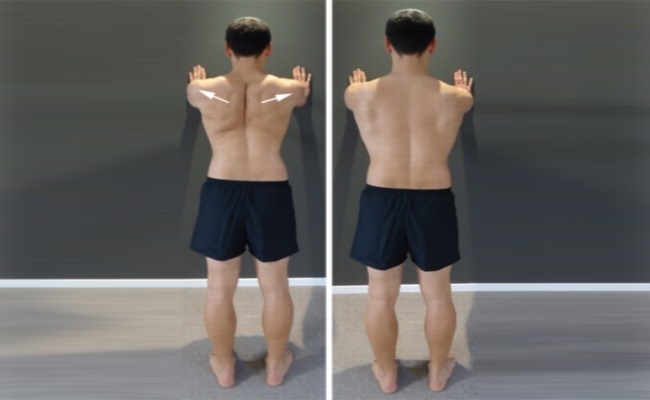 Extend your shoulder blades fully. Return to start, do 12 reps in all.